DESCRIPTION Here’s a great opportunity to buy in one of Okotoks most highly sought after communities of Westmount, this well-appointed area has tons to offer; including schools, close proximity to stores, restaurants and recreation facilities! Situated backing onto the Estates of Westmount this home offers your family 2485 SQFT on the top two floors and an undeveloped basement waiting for your personal touch. Inside throughout the main floor a blend of MAPLE hardwood, tile floors flow through the formal dining room, main floor office, Laundry room, HUGE kitchen & dining room. The upgrades are noticed immediately, the kitchen boasts granite counter tops, a gas fireplace off into the living room, coffered ceilings in the dining room, & 9’ ceilings. Upstairs the layout is equally desirable, featuring four HUGE bedrooms, two full 5 piece bathrooms (one being the ensuite) and large bonus room, you’ll surely be impressed with the size and functionality of this amazing home. Topped off with an attached oversized garage! 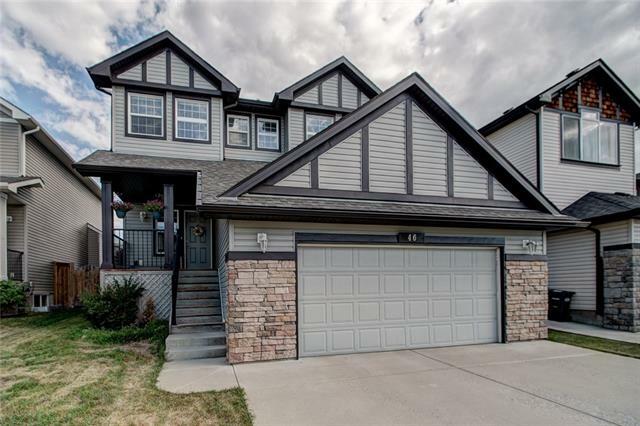 46 Westmount Wy, Okotoks, Alberta, MLS® C4234022 T1S 0E1 is a Detached, 4 bedrooms, 3 bathrooms, approximately 2,485 Sq. Ft. Listing price 485,000.00. This property was built in 2009.